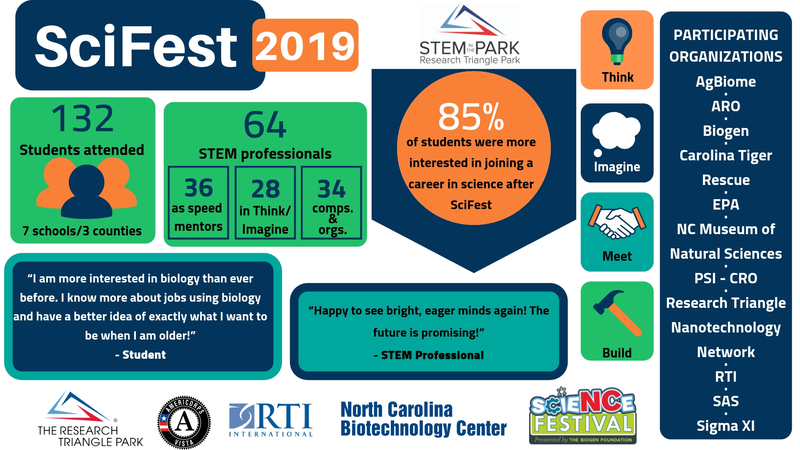 The Research Triangle Park > STEM in the Park > Did You Miss SciFest? On Friday, April 5th STEM in the Park hosted SciFest at the Frontier RTP! With help from sponsors North Carolina Biotechnology Center, North Carolina Science Festival, RTI, Research Triangle Foundation, and AmeriCorps VISTA, 7th – 12th grade students from 7 different schools in 3 different counties came to the Research Triangle Park to discover the vast possibilities of science! 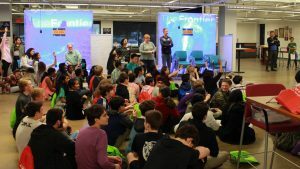 SciFest was the third in the STEM Fest series and connected 34 organizations with 132 students to explore careers and opportunities in science. 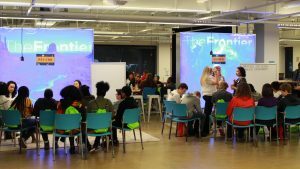 The STEM Fest model includes four sessions: Think, Meet, Imagine, and Build, where students are able to collaborate with STEM experts, think through real STEM challenges, experience hands-on demonstrations of STEM careers, and discuss the pathways towards STEM careers. During Think, students worked with STEM professionals to solve real issues that occur in the workplace using design thinking principles. The students worked in small groups with one of 5 organizations (AgBiome, PSI, STEM in the Park, Sigma Xi, and RTI) that walked them through day-to-day challenges related to their work. Together with these scientists, students were able to design their own solutions and reinforce their confidence in their own abilities. In Build, students get hands-on experience and build their skills with real-world STEM applications in a fun environment. For SciFest, NC Museum of Natural Sciences did an activity with the students to learn about a citizen science project that counted blood cells to determine the health of a monkey. Students in this session were seen excitedly raising their hands in the hopes of shouting out the right answers, and cheering on their classmates. 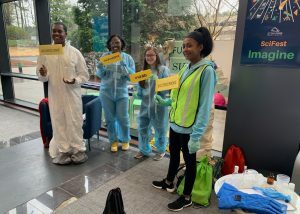 To extend this activity beyond SciFest, students and teachers are encouraged to interact with NC Museum of Natural Sciences after the event and build a lasting connection for continued learning. During Meet, students were able to talk to a wide variety of STEM professionals from organizations like UNC Chapel Hill, UCB BioSciences, NCCU and Novozymes, who work with science every day! 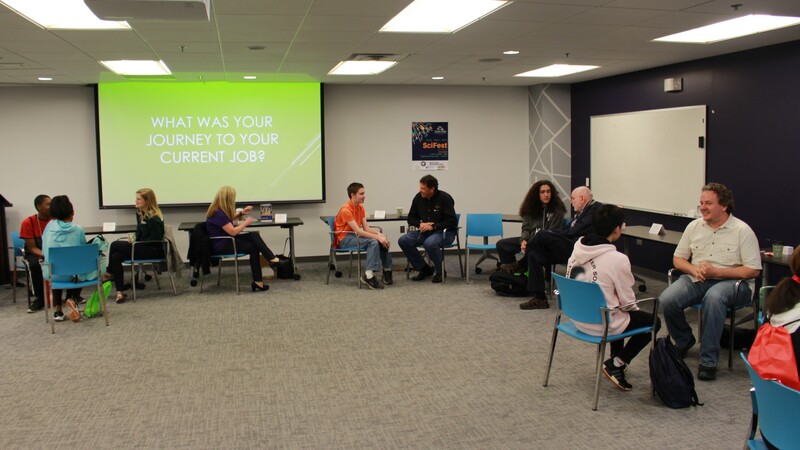 Through these one-on-one conversations, students were able to relate real people to STEM careers, and learn about the various paths that lead to a science career. 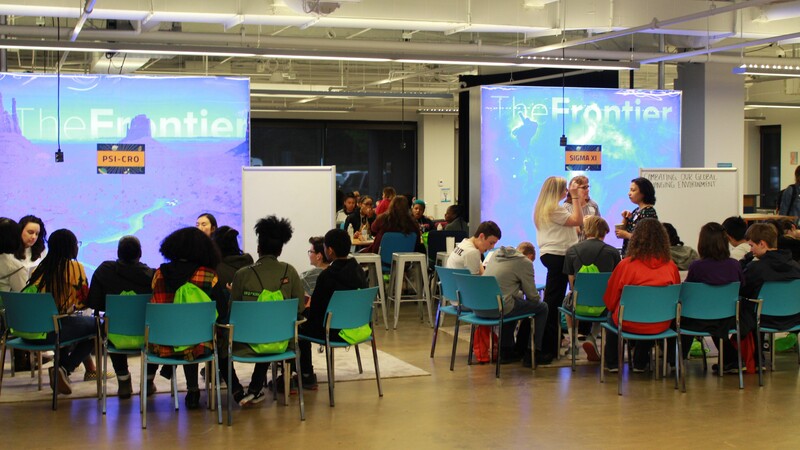 In Imagine, the Army Research Office (winner of best Imagine presentation), Biogen, Carolina Tiger Rescue, Research Triangle Nanotechnology Network, SAS Curriculum Pathways, and the EPA engaged the students with hands-on demonstrations. Students in this session learned about specific careers in these organizations and the types of skills that relate to them. The STEM professionals in Imagine learned how to convey their job to students in a relatable way, and had fun in the process! SciFest 2019 was phenomenal, and full of endless energy and enthusiasm from all of our students, volunteers, and STEM professionals! 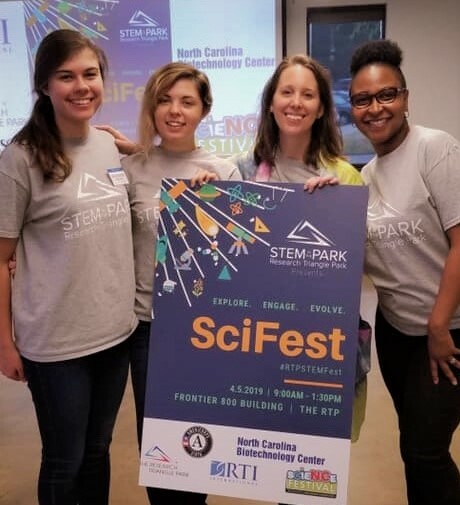 Being the final STEM Fest of the 2018-2019 school year, SciFest was inspiring, not only to the students and STEM volunteers, but to STEM in the Park as we begin planning our 2019-2020 STEM Fests! If you’d like to be a part of our next STEM Fest, email us today at STEMinthePark@rtp.org and introduce yourself!